I adore ⛄snowed-in days⛄!! Everything is magical on snowy days, mainly when you don't have to drive anywhere and can spend the entire day at home. Right now, there is no snow in our weather forecast here in North Carolina, however, the weather can be so unpredictable, so I'm not going to put my full trust in our forecast. We actually don't get too much snow in my area, in fact, we only get about a week or two of heavy snow. That being said, every time we get at least an inch of snow, everything paralyzes in the city. Schools and colleges are close or they delay their activities. The majority of businesses and retail stores don't even open, which means, we all have to stay home 💃. I know many of you will sympathize with me when I say, please let it snow!! 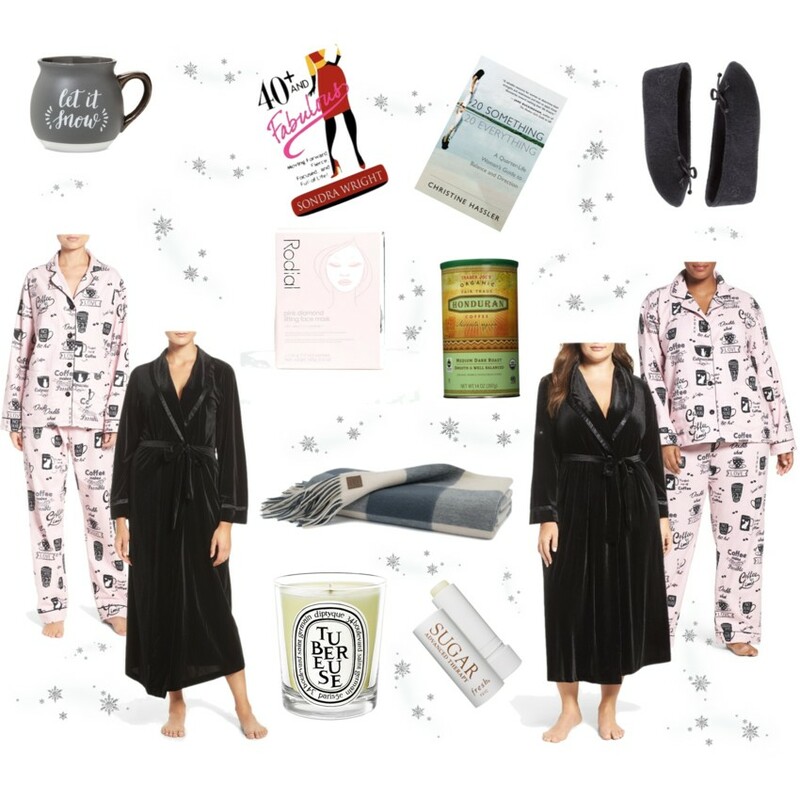 So, I created this collage with my favorite things to have for a snowed-in day. - Before I do anything else including coffee, I start working on spreading a beautiful scent all over my house. A tuberose scented candle usually do the job. 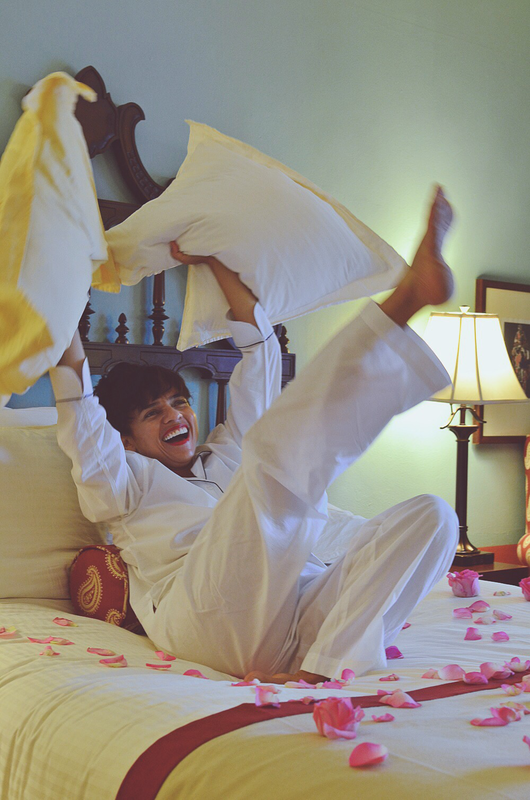 - Pajamas are the foundation garment of my lazy days. I love this pink style with coffee mugs printed all over it. It's also available in plus sizes. By the way, the white pajamas are by Needham Lane. - I don't know about you, but a robe is a must for me. A robe is like a security blanket that I can take with me all over the house. I have a vintage robe made out of soft velvet by Christian Dior that I completely love. I found a similar style for regular and plus sizes. - For my feet, I love me a cozy pair of slippers, soft enough to feel like I'm wearing only socks. - Of course, I like to have a coffee mug with a cute message for a snowed-in day. - But, what is the value of a cute coffee mug without being filled with great coffee? Maybe I'm biased but you should try Honduran coffee. - A good self-improvement book to read while relaxing on my couch it comes handy like 40+ Fabulous or 20 Something, 20 Everything. - And while I chill on my couch and feed my brain with information, I also do good things for my face. Korean beauty masks have been my favorites, mainly around cold weather days. - A soft and warm throw can make my lazy day even lazier. - And last but not least, the best lip therapy there is and simply because my lips hate cold weather.